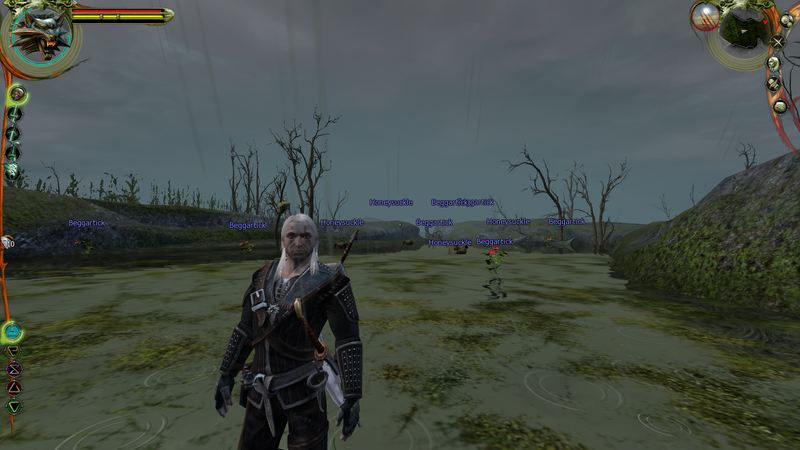 Welcome to my Blog, I'll be talking about Games here, and maybe other topics of Interest. 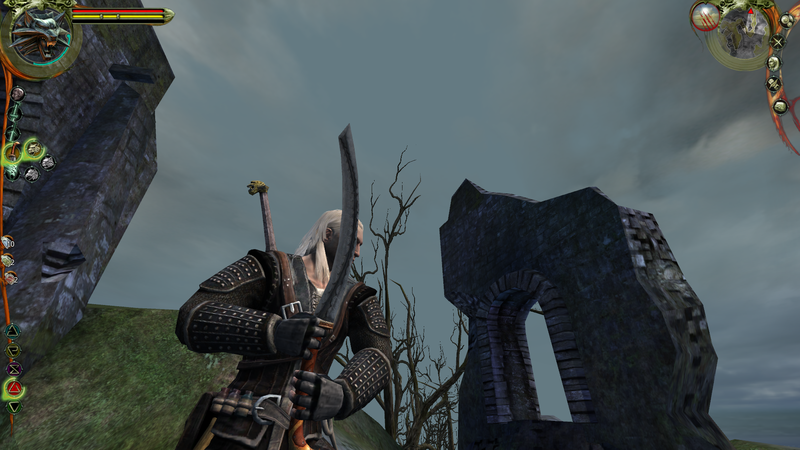 These past couple of days, I started Playing The Witcher: Enhanced Edition. 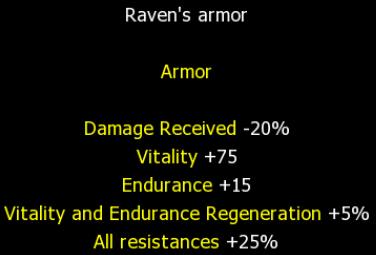 And I finally got the Raven Armor. Was a bit of a pain, but I did it. A couple of new weapons that I have acquired as well. 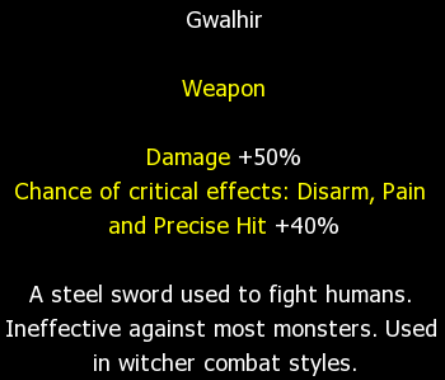 Steel Sword “Gwalhir” In Off Hand. Very strong against Humans, makes quick work especially in Group Style of multiple enemies. 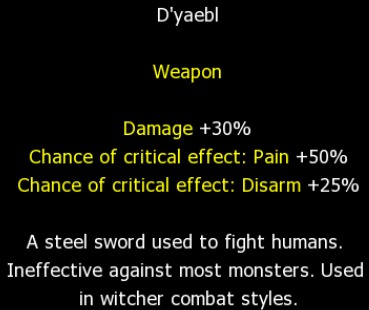 Steel Sword “D’yaebl” in Main Hand. 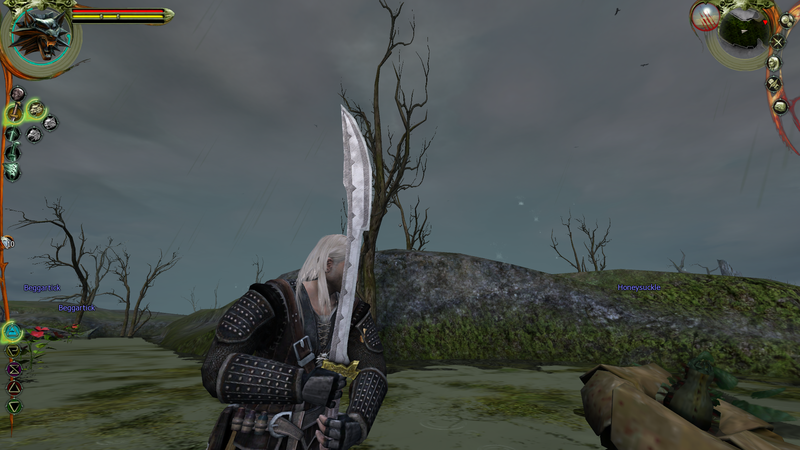 I like the look of this sword personally. 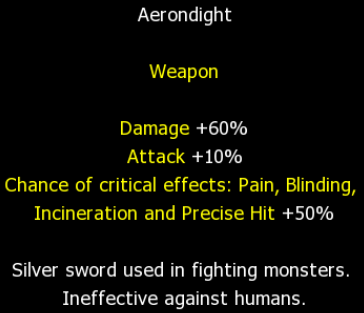 Silver Sword “Aerondight” In Main Hand. 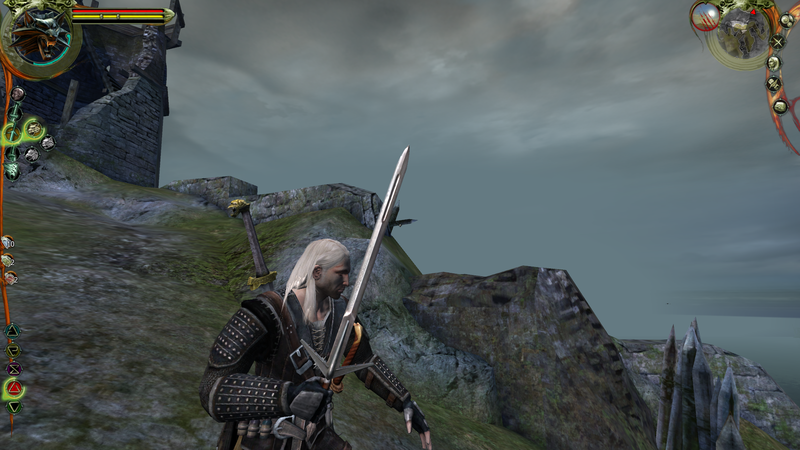 This sword kills Monsters pretty efficiently. And here is the Stats for the equipment. ← Good ol’ PlayStation One.